The list is also readily available on the NoTricksZone sidebar menu for easy reference. So the “science is settled”? You would think the media and “enquiring” journalists would be all over this. being drinking the green kool-aid. Turtles “feeling the heat” this past January, in the Gulf of Mexico. …pay no attention to the anomalous cold. It’s caused by the excess heat of global warming, which is caused by a tiny fractional increase in atmospheric CO2. Well, that’s what they tell us, anyway. 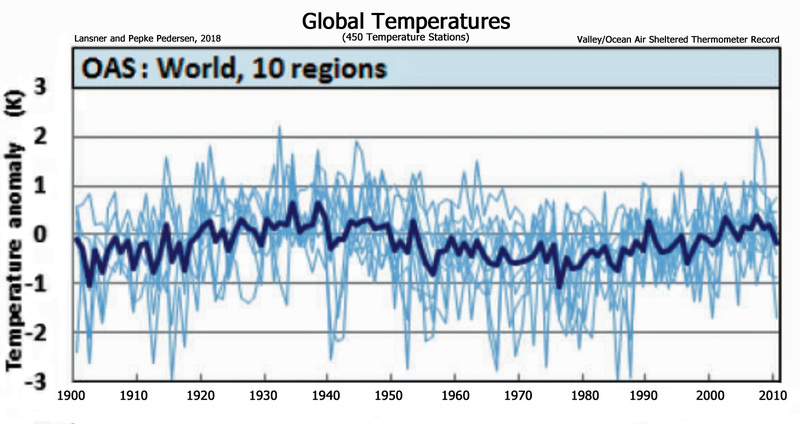 Sometimes I wonder how much more the temperature has to increase so you guys stop this deceptive behaviour of pulling out graphs from some location and claiming that since they don’t look like hockey sticks it isn’t warming at all. And if it warms, at no circumstance is it warmer today than the last 1000 or so years, right? Let’s suppose you would all be living until 2100 and let’s imagine that climate scientists were right and we failed to do anything to prevent a 3°C warming. 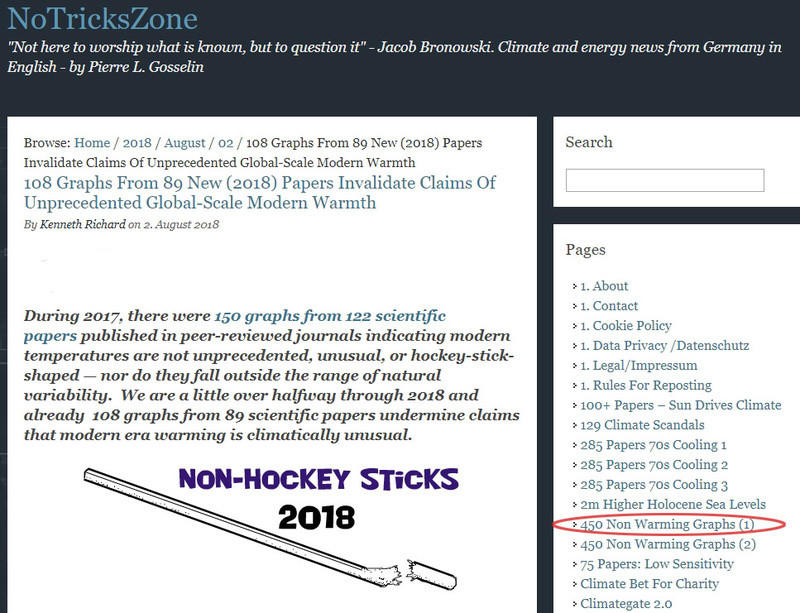 Will you then still claim that there is no “hockey stick”? That the warming is not unprecendented? In short: what will it take that you accept what very different groups of climate scientists have measured and predict for the future? A warming of 10 degrees maybe? Is it even possible to convince you guys of anything? In short: what will it take that you accept what very different groups of climate scientists have measured and predict for the future? A warming of 10 degrees maybe? The oceans warmed by whopping total of “only 0.1°C” in the last 50 years, and just 0.02°C since 1994. Antarctica contributed just one third of a centimeter in meltwater equivalent to sea level rise since 1958. Greenland contributed just 1.2 cm since 1958. And besides, more land area is above sea level today than there was in the mid-’80s, as coastlines and beaches are expanding all over the world. Why are we supposed to be alarmed by this, SebastianH? So the real question is, why are you a believer and not a skeptic that what’s happening now is unusual or even concerning? And I wonder how much more the modeled temperature has to increase so cAGW dreamers stop this expensive deceptive behaviour of pulling out graphs from some virtualized planet that does not reflect the climate of this planet, and stop adjusting cherry-picked (proxy) temperature records so they look like hockey sticks with warming that is so catastrophic no-one on the planet manages to measure it. 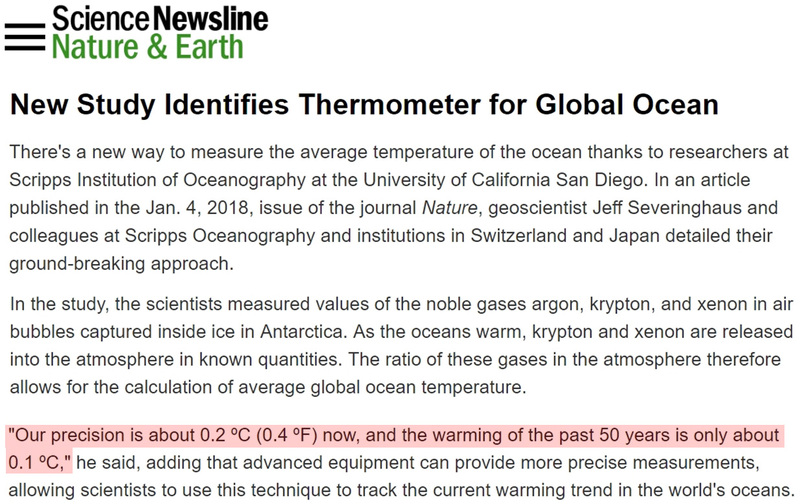 As you say “The oceans warmed by whopping total of “only 0.1°C” in the last 50 years, and just 0.02°C since 1994.” A point lost on the cAGW advocate here. All the IPCC and cAGW advocates have to offer is just fear-filled sophistry and utter scientific nonsense. Within what time span? 100 years? 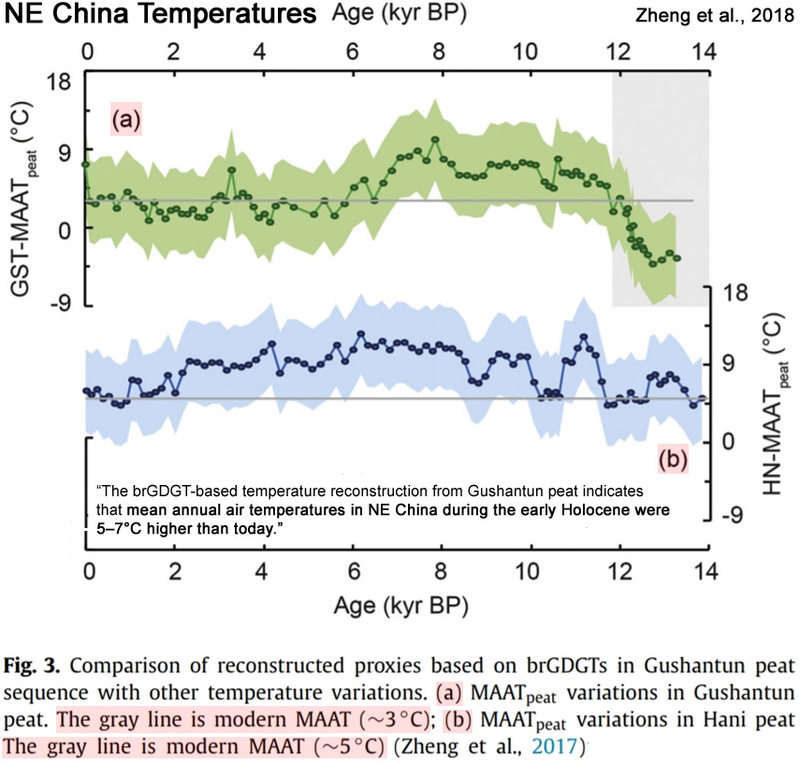 That’s still well within the range of natural variability, as the oceans warmed and cooled in the 0-1000 m layer by 1 degree per century during the Holocene. According to the IPCC, at shallower depths (0-700 m) they’ve only warmed by 0.015°C per decade during 1971-2010, which, when adjusting for depth, means that natural variability is about 8 to 10 times greater/faster than what’s occurred in the last 4 decades — even if we attributed all of that recent change to anthropogenic CO2 emissions. So yes, it would “feel” tiny to have such a minuscule temperature change — just as the net “warming” of 0.001°C/yr during 1994-2013 wasn’t particularly alarming. 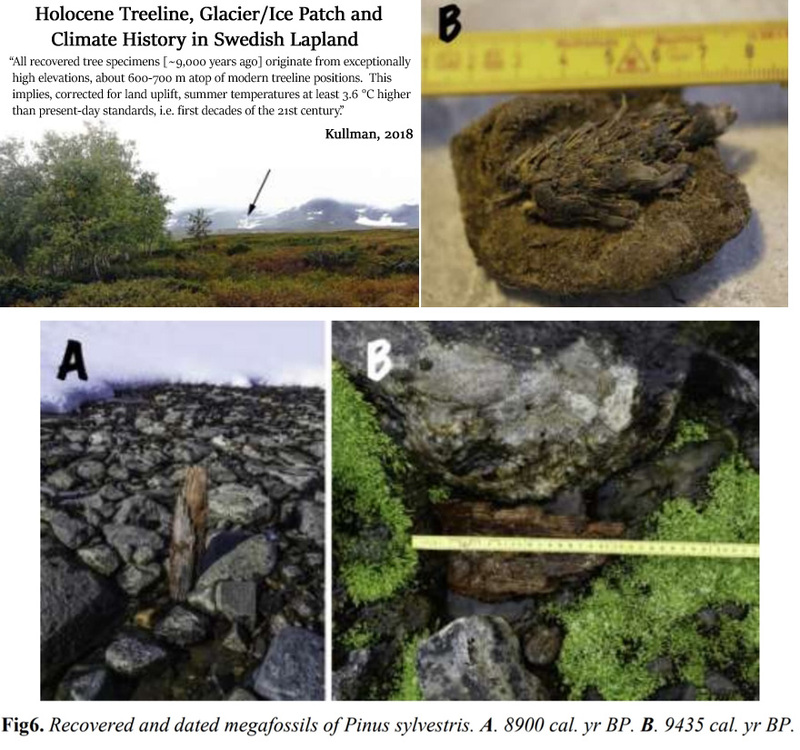 Did you think the Holocene changes were tiny, though? 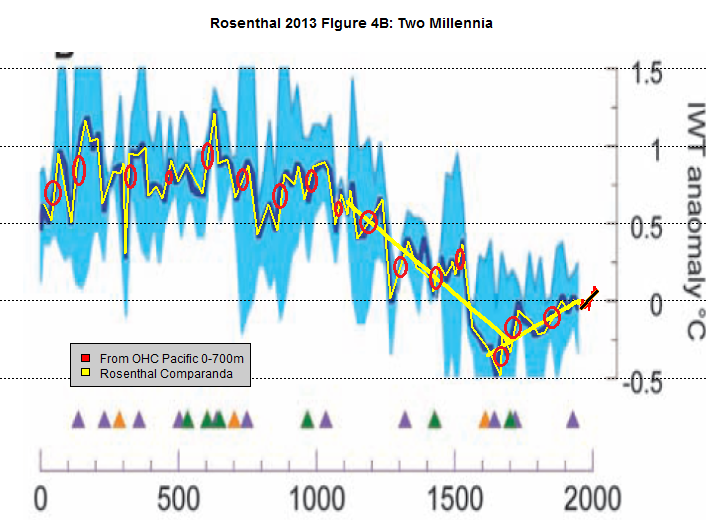 What caused the oceans to warm and cool so much more dramatically than modern times during the Holocene, SebastianH? What’s the mechanism? Why do you expect anyone to even bother with your FANTASIES, because that is all they are. We will just continue to correct your childish anti-science fairy-tales. That’s still well within the range of natural variability, as the oceans warmed and cooled in the 0-1000 m layer by 1 degree per century during the Holocene. No it’s not. We had this discussion before and it is not ok to mix the average ocean temperature increase values with a temperature change at a specific location at a specific depth. Oceans aren’t that uniform … do you believe they are? We had this topic before too … kind of gets old to repeat the same stuff to you over and over while you either forget what others wrote or deliberately ignore it. Again, it’s warmed by just 0.1 C in the last 50 years. Yeah and that is just 6.34*10^-11 °C per second. Doesn’t sound particular alarming, right? You have to let go of this “just 0.1 C” theme. It’s a whopping 35*10^22 Joules! That’s 222 TW of constant heat content increase for those decades. And you think that can’t cause large amounts of ice to melt? Why? And it is NOT DISTRIBUTED equally in every litre of ocean water. No seb, in your feeble little fairy-tale it is all focussed just on a small part of the West Antarctic Peninsula. Your fantasies are driven by something FAR more ridiculous and mind-warping than AGW brain-hosing !! Q3. 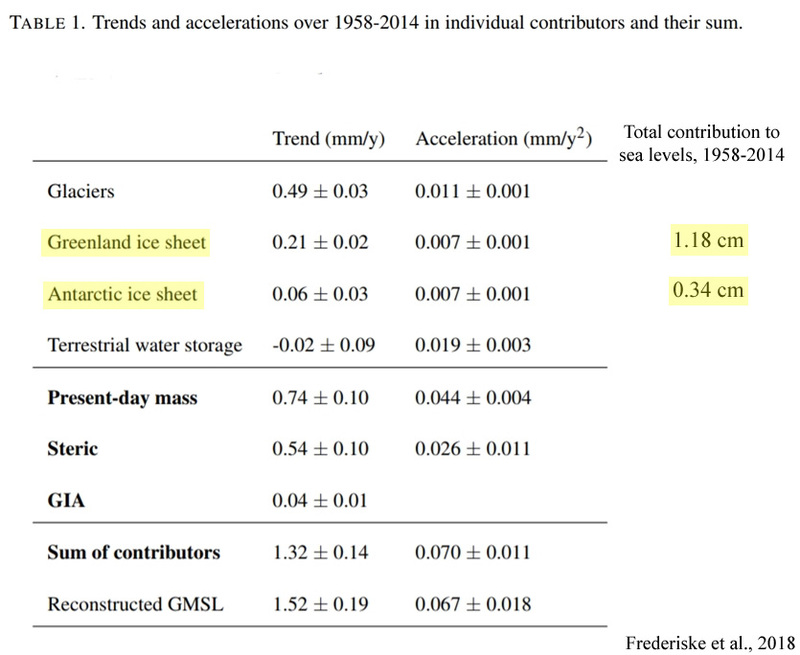 Please explain in your own words, how a global sea temperature rise of less than 0.1ºC is able to melt large Antarctic glaciers. And please, the headless chook evasion is getting passed a JOKE.. at least make a PATHETIC effort of some sort. you should really do something to improve your reading comprehension skills. Again, improve your comprehension skills or stop trolling / playing the clown. You aren’t correcting anything by spreading nonsense, AndyG55 … you are just fullfilling the cliche of the climate denial persona. Nothing to counter the actual DATA. Even your pathetic skills could find and confirm the NOAA data..
.. IFF you ever wanted to face the facts. But FACTS are an enema to you, aren’t they, headless chicken-little. It is noted, YET AGAIN, that you rant and rave mindlessly to try and avoid answering simple questions. Seems to be the only tactic left to you, doesn’t it. Yep, lots of solar energy… and the ocean is so vast, that gives a warming of ONLY 0.08ºC in the top 2000m. 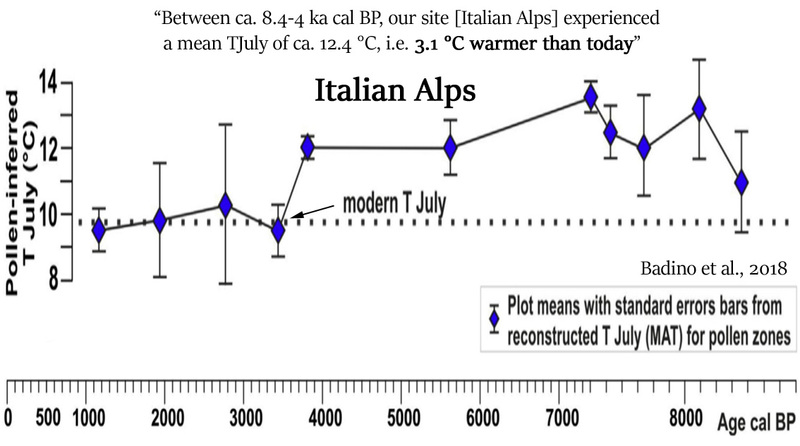 I know you have great difficulty grasping basic numerical and physical concepts seb..
.. but its time you woke up to REALITY that 0.08ºC change in the temperature of the vast oceans, is NOT going to melt much glacial ice. Could you even feel an increase of 1C? No, and anybody that claims they can is lying. WTH! You really can’t read, can you? Go back and read what I actually wrote instead of trying to insult someone from a clown/troll position. Can’t take you seriously when you actually talk about science and especially not when you are in this clown mode. So why do you think your insults hurt anyone? P.S. : Which is it? 0.01°C or 0.1°C? And why is it so hard to understand the simple question if you guys find 1°C would still be a tiny amount. Can you eyeball the percentage of the heat content increase that happend in the top 700 m layer vs. the top 2000 m layer in this graph? So why do you guys think that it is a good idea to downplay the overall heat content increase by using an average over the entire volume of the oceans? The increase is not “tiny” at all and we are just at the beginning. Hivemind, the heat content doesn’t get measured by measuring the temperature of the whole ocean volume. That’s NOT going to melt anything, (except your mind, obviously). And do you REALLY think all that solar energy gets concentrated just on the West Antarctic. to melt glaciers. quite BIZZARRE !!!!! No Atmospheric warming in Antarctic for 40 years. Why is it that when ever DATA goes against you, you start going into hallucinogenic fantasies?? You have a weird and wacky idea of how science and physics works. Sorry seb, but a global temperature increase of less than 0.1C in 50+ years is very tiny. Just “make-it-up” like a Grimm Bros FAIRY-TALE. And claims and foolish lying in endemic in ‘cAGW Scientism™’ and their advocates blather. This is kind of unreal. Spike55, you can’t be reasoned with when you don’t understand anything other people say or write. As a result you make up your own little fantasy world and nothing can disturb how you imagine things to be. This “0.0x°C can’t melt ice” thing is just the newest nonsense you keep repeating as if you found the holy grail to finaly argue successful against AGW. It’s really weird conversing with you and I find it strange that the authors of this blog allow someone like you to spread this kind of nonsense. Either they don’t understand what kind of nonsense you write or they find it amusing to see opponents being insulted by you and trying to futily debate a clown. You are destined to remain EVIDENCE FREE, aren’t you petal. Only a complete scientific idiot would think this is the cause of the West Antarctic glacier melting. And then DENYING the effect of known volcanic activity directly under the ice. WOW !!! Probably the most twisted, bizarre, fantasy, anti-science attempt to support the AGW mantra that I have ever seen. And of course.. its from seb. Seb, can you explain why over 200 papers peer-reviewed and published in scientific journals over the last 18 months should be ignored just because they run contrary to your cult beliefs? Is science not to be done by investigation and the exchange of ideas — in some cases unpopular with the scientific establishment — any more? Are we now to dismiss out of hand 200 pieces of research (and that’s just since the beginning of last year; there were lots before that!!) because they conflict with some manufactured “consensus”? Are you suggesting that the conclusions or the graphs are wrong? Or lies? Are these scientists cheats? Because if they aren’t then whatever warming there is isn’t global, is it? Why should we dismiss those papers? Take them as what they are. Same as you are hopefully not asking the rest of us to ignore thousands of research papers demonstrating that global warming is happening and that the recent warming is caused by the increased CO2 concentration. The name global warming doesn’t mean that the planet is warming uniformly and it also doesn’t mean that is is warming everywhere. Same as the term Greenhouse Effect doesn’t actually describe a glass greenhouse. You don’t want to be the guy who tries to argue against these concepts by attacking the term itself. That’s just lame. Or do you think it shouldn’t be called „Kids menu“ if there are no actual children in the food? thousands of research papers demonstrating that global warming is happening and that the recent warming is caused by the increased CO2 concentration. Please provide citations to even ten of these “thousands” of papers that actually provide real-world, physical evidence demonstrating that the 0.000001 changes in atmospheric CO2 concentration are what caused the “only 0.1°C” of ocean warming in the last 50 years, and just 0.02°C since 1994. 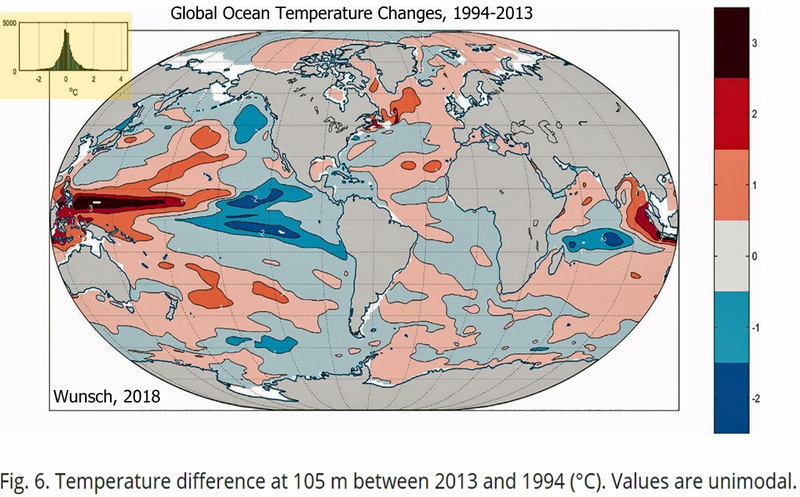 Large regions of the Earth have been cooling in recent decades, as shown here. If increased CO2 caused the warming, what was it that caused the cooling? And why does the IPCC claim that today’s “global warming” is globally synchronous if it really isn’t? Or do you think it shouldn’t be called „Kids menu“ if there are no actual children in the food? This is quite possibly the most disgusting “analogy” I’ve ever read. caused the “only 0.1°C” of ocean warming in the last 50 years, and just 0.02°C since 1994. There it is again … the “let’s express heat content change as an average ocean temperature for the whole volume” theme. That’s 222 TW of constant energy input (the imbalance) for decades … and you don’t think that is able to melt ice and change the climate a bit? Especially since this heat content is not uniformly distributed over the whole volume of the oceans … you know that, right? Large regions of the Earth have been cooling in recent decades, as shown here. If increased CO2 caused the warming, what was it that caused the cooling? Again, the imbalance causes an increase of the heat content. The heat content is not distributed uniformly! It’s not difficult to understand. I somehow have the feeling you still think that it should be warmer everywhere since CO2 increased everywhere (if CO2 would be the cause). That is not how it works, Kenneth. You need to learn how the mechanisms work or you are making yourself look like a fool when you argue against them. And why does the IPCC claim that today’s “global warming” is globally synchronous if it really isn’t? Because it is happening all around the globe and not just in one specific region. The heat content of the globe is increasing! If it would stay the same and only the NH would get warmer and the SH would become cooler accordingly, then it would not be a global warming. Really not too hard to understand. Seb seems to be a specialist in MENTAL and verbal GIBBERISH !! The IMBALANCE is purely and totally in your feeble little FANTASIES. It causes DELUSIONS and MANIC blathering in AGW slaves. Yes the SUN has warmed the oceans since the LIA, THANK GOODNESS, but that warming has only been a fraction of a degree. Certainly there is no mechanism whereby CO2 can cause ocean warming. Did you know that OGLWR has actually INCREASED.? Were you UNAWARE, yet again??? So, NO, there IS NOT been a change in the balance between incoming energy and outgoing energy. I think its TOTALLY HILARIOUS that you think a TINY increase in ocean temperatures of 0.08C is going to melt glaciers. I KNOW that BIG numbers scare you, and are basically BEYOND YOUR ABILITY to comprehend and make rational sense of..
.. but FFS.. GET A GRIP on your PANIC and your mindless anti-science gibberish, seb !! Asks Kenneth, and yet again SebastianH fails. SebastianH is too lazy to find any papers, or that there are no papers to find. Either way the reply proffered by SebastianH is just the usual opinionated distraction away from answering the question and focusing on irrelevant minutia with no attribution to any science papers. So SebastianH, where are any of those papers? Or are you just too lazy to quote them? John thinks SebH lose mind. …heat content is not uniformly distributed over the whole volume of the oceans …. John now thinks SebH No good explanation. He not able explain “mechanics”. What Ken says makes sense. SebH no making sense. He stop posting better for health! tomOmason, I am not your science nanny. If you really need to know how this stuff works, ask a physics teacher at your local university. I don’t know if it is the purpose of papers to explain the basics or if it is my job to give you lists of papers to read that you will ignore anyway (as you are doing right now, otherwise you would not have this strange image of how the world works). those two sentences are not contradicting each other. Not sure if you are having difficulties understanding written text (hint: they way you write) or if this is just the way you try to troll people. It demonstrates a misunderstanding of what CO2 is supposed to do to temperatures/heat content. And it’s a general problem of his understanding because his argument against the CO2 GHE being responsible for the warming of polar regions is based on the same misunderstanding. Why is this a problem? Because even if it turns out that we were all wrong and CO2 does nothing, he is barking at the wrong tree in a very different forest and doesn’t seem to notice it. Poor seb, spends SO LONG typing distraction based gibberish, he forgets about including any actual science or physics. Seems to think running around like headless chook while avoiding producing any actual evidence is his only way out. Its extremely comical in juvenile slap-stick faceplanting sort of way, and exactly what we have come to expect of him, but really DOE NOT help his support his brain-hosed activism. ZERO EVIDENCE of CO2 warming anything, anywhere, anytime, poor seb. The headless chook has a more capable mind than you. At least he knows he is a headless chook. John now thinks that SebH unhealthy problems with reading. ” NOT evenly distributed …” and “… happening all around the globe…” is one and the same. Why he not explain 2 Degree target to John. He not know? That is neither what I wrote nor what I think. Maybe you should try to get rid of your own reading problems first, John. SebH thinks John reading problem. But why? John maybe writing not good english, but english not John language. John can read. You making up claim that heat not same distributed, but you say that warming happening all globe. If heat not distribted, then Ken asks why cooling in one part and warming in other part. SebH should not come with refrigerator. There no refrigerator in Antarctic or any else in atmosphere. SebH maybe want explain other than using refrigerator to explain to John how cool and warm works in climate. How comes he thinks CO2 can make this. but english not John language. English isn’t my mother’s tongue either. Again, I didn’t write this. The warming is global, because the entire globe’s heat content increases. If it weren’t increasing, the warming would not be global. Distribution of heat matters … even in a world that doesn’t warm globally. A refrigerator in a room is the perfect example to explain this concept. You have increasing heat content in the room that is caused by external forcing (the electricity that the device consumes) and you have a system that distributes heat unevenly. But I get that it is easier to just say “there is no refrigerator in Antarctica”, just like it is easy to say “there is no actual greenhouse effect, because it works differently in an actual greenhouse” or whatever skeptics try to argue as a last resort. The Sun radiates towards Earth. Part of that radiation reaches the surface and gets absorbed. Since the Earth system is no solid block of matter you get currents (of water and air) moving around, distributing the heat. If the distribution changes without the amount of heat (also known as heat content) changing it can warm somewhere and cool in other places too. That is also a climate change, but it is not global warming (or cooling). If the heat content changes due to whatever (in this case CO2 concentration rising, causing an increased greenhouse effect), the same mechanisms apply. The additional heat gets distributed too and not evenly over the entire surface. I am sure there are a few chapters about ocean currents and winds in some textbook you can borrow in your local library. Or google “poleward heat transport” and similar terms to find out more. The warming is global, because the entire globe’s heat content increases. The language you use here belies this “on net” change. It implies that it did not cool in large regions of the globe. And seb replies with yet another headless chook distraction/evasion of simple questions. Running around flopping his wings thinking he can fly.. oops… trips again. Would have been a classic faceplant, but seb lost face ages ago. There is NO EMPIRICAL EVIDENCE that supports this baseless conjecture. Why is it that basically everything you “believe” is SCIENTIFICALLY UNSUPPORTABLE, seb ? The 0-2000m layer warmed by 0.064°C (link) and the 0-700m layer warmed by 0.117°C in that time (link). It warmed in both hemispheres. Temperature is different from heat content. Some day you’ll understand. Until then I will laugh out very loud everytime you try to argue with temperature when others are talking about heat content. It warmed in both hemispheres. If we add up the warming regions and cooling regions, the net difference is a rather unimpressive +0.02°C between 1994 and 2013 according to the data presented in peer-reviewed science. Temperature is different from heat content. “Temperature difference at 105 m between 2013 and 1994 (°C)” … you can imagine me as laughing out load now. Do you think repeating this over and over makes it a valid observation of heat content change? I linked you the actual data. 0.02°C … I’m still laughing. you can imagine me as laughing out load now. I linked you the actual data. 0.02°C … I’m still laughing. Is this a new rhetorical tactic? We point out to you that the net ocean heat change (as commonly expressed as a temperature value by scientists) is a paltry 0.02°C between 1994 and 2013 when adding up all the cooling regions with all the warming regions, and you respond by saying you’re laughing out loud about this because, in your belief system, the “entire globe” warmed and not just some regions? Is this even a rebuttal? Someday poor witless seb will learn that a change of 0.08ºC over 55 years is NOT going to melt any glaciers anywhere, anytime. I wouldn’t want to leave you in charge of boiling a pot of water, seb. I suspect your granny does that for you. Maybe you should watch and learn one day. 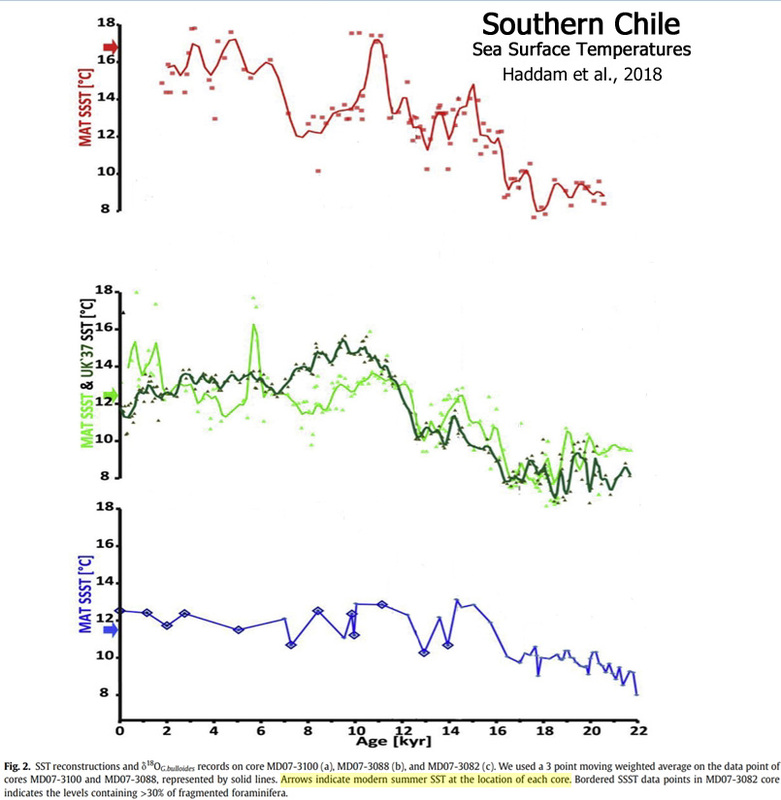 And the clown jumps right in and demonstrates this kind of behaviour ( “to belittle the OHC increase by converting it into a temperature increase over the entire ocean volume” ). Still thinks 0.08C change will melt glaciers. Thinks all the solar energy pumped into the oceans is concentrated on that one glacier. seb represents GROSS INCOMPETENCE at every level. Don’t ever try to boil a pot of water seb. You don’t have the knowledge. That is HILARIOUS considering you have never been able to cite even ONE of them to answer two simple questions,..
WHERE IS YOUR EVIDENCE, seb???? You know you don’t have any. Your mindless scientifically unsupportable statements are just lonely, PATHETIC, attention-seeking attempts at trolling, aren’t they. Speaking for yourself, are you? Your attempts at EVASION and NON-ANSWERS are getting more and more CHILDISH by the day. Glad you don’t dismiss them, Seb. Just as we don’t “dismiss” the papers that you rely on. Also glad to know you agree that warming is not actually global, since there is more than enough evidence to support that position. Just one more small jump and we are there. Some parts of the planet are warming, some aren’t. CO2 is a well-mixed gas, we’re told. So it can’t be the main driver, can it? So the planetary heating (all barely measurable 1° of it — with error bars) must be mainly due to something else. Natural variation, perhaps. Not much evidence around to support any other hypothesis at the moment. Just one more small jump and we are there. Some parts of the planet are warming, some aren’t. On average, the whole planet is warming. That’s why it is called global warming. Not because every location on the globe warms. CO2 is a well-mixed gas, we’re told. So it can’t be the main driver, can it? 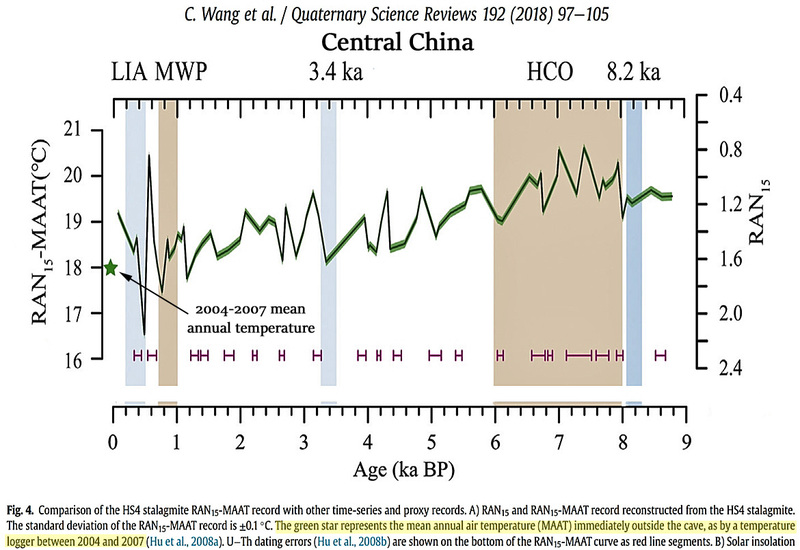 So the planetary heating (all barely measurable 1° of it — with error bars) must be mainly due to something else. Natural variation, perhaps. Not much evidence around to support any other hypothesis at the moment. Nope. All evidence points to the increased greenhouse effect. The Sun is currently weakening and by currently I mean in the last decades. Skeptics like Kenneth will argue it is the changing cloud cover … but they are contradicting themselves with claims of a decreasing cloud cover while the Sun weakens and on the other hand claiming cloud cover increases due to more cosmic rays when the Sun becomes weaker. On average, the whole planet is warming. That’s why it is called global warming. Only in “climate science” is it claimed to work as SebastianH describes. If we add up all the regions where it’s been cooling with all the regions where it’s been warming we can claim that because the areas where it’s been warming have, on net, ever so slightly (i.e., 0.02°C between 1994-2013) exceeded the areas where it’s been cooling, therefore it’s semantically correct to say “the whole planet has been warming”. Even though the “whole planet” has not been warming. Only some regions have been. Others have been cooling. If the Arctic warmed by +0.9°C and the Antarctic cooled by -0.7°C since 1998, yielding a net average change of +0.1°C, would it be semantically correct (or even accurate) to claim that “both of the polar ice caps have been warming”? Of course not. And yet this same phenomenon occurs every time people like SebastianH claim “the whole planet has been warming”. They know it’s not true. And yet they say/write it anyway. All evidence points to the increased greenhouse effect. Actually, no. There was a hiatus in the CO2 greenhouse effect’s influence on temperatures during 1992-2014 according to scientists. ROFLMAO… seb drifts off to fantasy land, yet again. Where is your EVIDENCE, seb? You continue to be TOTALLY DEVOID of any. Come on seb, some of this EVIDENCE please. Q. In what way has the climate changed in the last 40 years, that can be scientifically attributable to human CO2 ? cue yet another empty zero-evidence headless chook response. Only in “climate science” is it claimed to work as SebastianH describes. Nope, it works this way all the time. Devide a room into two halfs and put a refrigerator in the devider. The cold side points to one half and the warm side to the other half. Half of the room will cool and the other half will warm. Yet globally the room will be warming. That’s how these definitions of words work. You as a pedantic being who always want people to repeat the exact words you wrote down should be able to understand it. The fact that you don’t want to in this case is pretty telling. It would not be called global warming if the heat content of this globe did not change. would it be semantically correct (or even accurate) to claim that “both of the polar ice caps have been warming”? And yet this same phenomenon occurs every time people like SebastianH claim “the whole planet has been warming”. They know it’s not true. And yet they say/write it anyway. No, it’s what normal people say. If it were cooling globally I am pretty sure you would not object. But we are dealing with you guys who try to convince themselves that is has not been warming because there was a temperature spike some years ago where it was comparably warm on this planet or that the ice isn’t melting because there was on downwards spike in the ice extent a few years ago and it hasn’t gone below that extent since then. It’s kind of a distorted world view … this grasping of straws to somehow imagine stable or even cooling conditions in a warming world. I wonder how this works for skeptics. In one instance they argue there is no such thing as a GHE and it can’t be measured and on the other hand they come up with a paper that seems to have detailed measurements. I also find it strange that you refer to this paper as describing a hiatus of the CO2 greenhouse effect when the only mention of CO2 is on page 1. Besides, those graphs visualize that the anomaly has not increased further … that is not the the same as saying that heat didn’t accumulate in that period. I hope you understand this. It’s like saying the car didn’t accelerate further and calling that a hiatus of the acceleration effect when you are still driving at 200 km/h. and poor seb,reduced to mindless irrelevant analogies again. There is NO EVIDENCE of any warming effect of CO2 anywhere, especially no on the oceans. While this represents a lot of solar energy accumulation from the Grand Solar Maximum, it is never the less a very small amount of warming. 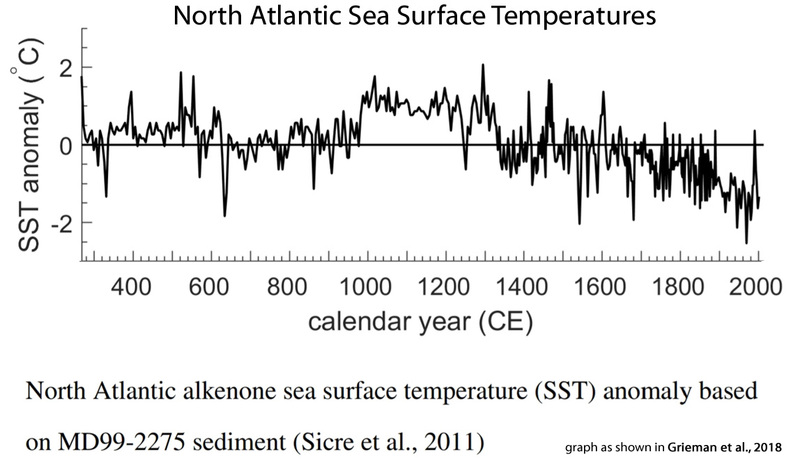 The oceans were MUCH warmer, by WHOLE DEGREES, earlier in the Holocene, and the world has only warmed very slightly since it lost all that energy in the lead up to the LIA. There is NO EVIDENCE of CO2 warming anything, anywhere, anytime. You do know that Tony Heller was heavily involved with the development of Intel microprocessors, don’t you. I would bet that he knows several magnitudes more about microprocessors than you would ever be capable of learning. I would also surmise that most REALISTS know far more than you do about basically everything. Certainly seems that way from your posts. Most of what you pretend to know, is basically anti-knowledge, diametrically opposed to reality. The rest is just an EMPTY hole with a wilful lack of awareness. John now thinks SebH does understand what means No global warming. He says that cold and warm unevenly distributed. So if not mean warming then John thinks there no problem. When SebH sending John link for 2 degree goal. John waiting. This not describe refridgerator. The refriderator get less heat content after electric work applied. What CO2 does to work and distribute heat in atmosphere SebH thinks? There no fridge in atmosphere. CO2 no does work in atmosphere. #facepalm … spikey, you are in no position to judge anybody’s knowledge about anything. You are the clown here who pretends nonsense is true and fantasizes about physics. P.S. : I doubt a geology/electrical engineering guy was ever heavily involved with Intel microprocessors. He is just a fraud and you are falling for his nonsense. Poor seb,needs a bigger towel the wipe the egg and BS off his face. I doubt you ever got passed junior in any of the hard sciences. There is ZERO evidence to support that farcical idea. Then and again, you have ZERO EVIDENCE to support any of your wacked out anti-science idea. Your childish but baseless arrogance won’t let you admit that you really are in the lower 50% when it comes to rational thought and intelligence. He MOST CERTAINLY knows FAR MORE than you will EVER be capable of knowing. Basically anyone here would know more than you are capable of knowing, because you have to overcome all your anti-knowledge before you can ever start, and you have shown zero propensity for actually learning anything. Your ego won’t let you. I am very much in a position to judge your lack of intelligence, and lack of evidence. You have been given AMPLE opportunity to show us the evidence of CO2 warming, but have MANIFESTLY FAILED at every step. You have been your own judge, I am just the messenger, and you FAILED yourself, and I bet that inside, you fully realise that FACT. You have shown over and over and over again that your knowledge of science and physics is RUDIMENTARY at best, and that you are basically existing in an intellectual VOID of your own egotistical making. You have FAILED TOTALLY at every attempt to provide proof of anything you rant about. You have been judge by ALL, and have been found to be totally WANTING. DOOMED to manifest self-inflicted FAILURE at every step. The only hilarious thing to watch here, are your replies, Spikey. The REALLY hilarious thing to watch is your INCOMPETENCE and INCAPABILITY of answering two simple questions. Your manic contortions in evasion and your headless chook routine in actually facing them with any science, make you the LAUGHING STOCK of AGW cultism. You are a manifest FAILURE at every point in your pathetic existence, seb.. and you KNOW it. You have sent the AGW agenda scurrying into a deep fetid hole by your absolute incompetence in supporting that junk science. We thank you for continuing to do so. .. describes an imaginary concept that has never been observed or measured anywhere on the planet. What part of “… not unprecedented, unusual, or hockey-stick-shaped — nor do they fall outside the range of natural variability…” do you have difficulty grasping? In short: what will it take to convince you that your heroes are rather crappy at predicting the future? Worse than useless results? More than a factor of two off the mark? Missing the lower threshold of GMST warming for “Business as Usual Emissions” (even though actual emissions were 1/3 greater than the Business as Usual Scenario? … Oh, wait… We’ve already seen that, haven’t we. The actual emissions are lower than the RCP8.5 scenario. The predictions are pretty good, even those made decades ago. And the unprecedented part is the cause. Otherwise you could always go back as long as you want and find a (reconstructed) event that did exceed what we currently see happening. The reasoning „it happened naturally before, therefore it isn’t us this time“ or the other skeptic argument „it‘s within natural variability (of the past), therefore could as well be natural“ … are illogical. It would be illogical if the mechanisms that caused past climate changes had somehow managed to disappear, or be reduced from 100% of the cause to 0% of the cause, with 100% of the cause of the “only 0.1°C” of ocean warming in the last 50 years, and just 0.02°C since 1994 being taken over by another mechanism in the last 20-50 years: CO2, the global warming pollutant. That would be illogical. And yet that is what we are asked to believe. When it comes to logic and reasoning, we need a null hypothesis to be formulated and then falsified to draw any robust conclusions. And yet when it comes to the IPCC and climate science, they never even bothered to formulate a null hypothesis. Indeed, so why do you think CO2 doesn’t increase the GHE this time? I know … you mean the climate changes permanently, so why should those natural factors have stopped right now? The thing is, they haven’t. They are just not responsible for the current climate change. And yet that is what we are asked to believe. No, you are asked to open your eyes and accept that changing the concentration of a greenhouse gas has a certain effect. Going on and on that the observed effect could be natural and imagining that CO2 has little to no effect is illogical. But somehow you “skeptics” are convinced that this is the case … still don’t know the exact reason. If you aren’t getting paid or aren’t invested in the fossil fuel industries, is it really your feeling that you are being lied to by the elite? Conspiracy theory thinking? Still, not logical. Indeed, so why do you think CO2 doesn’t increase the GHE this time? [Natural factors] are just not responsible for the current climate change. There was a hiatus in the CO2 greenhouse effect’s influence on temperatures during 1991-2014, and yet the temperature increased during that period. So the CO2 greenhouse effect was flat to slightly negative (-0.04 W m-2 per year-1) during 1992-2014, whereas cloud SW radiative forcing (a reduction in cloud cover, allowing more solar radiation to be absorbed by the oceans) was positive during the 1990s to 2000s, and thus can account for the warming. So why do you nonetheless believe that natural factors are “just not responsible” for the post-1990s temperature increase anyway? At what point were cloud cover changes “ruled out” as a causal factor? No, you are asked to open your eyes and accept that changing the concentration of a greenhouse gas has a certain effect. And what effect would that be when it comes to CO2 concentration changes and heat changes in water bodies? How much heat loss is caused by a reduction in CO2 concentration by, say, -10 ppm (0.00001)? Do you have that answer, derived from a real-world, physical experiment? So why is it your belief that it could not be natural? At what point was a natural effect ruled out scientifically? imagining that CO2 has little to no effect is illogical. We’re still waiting for those physical measurements that demonstrate how much water bodies are cooled when the air above them has its CO2 concentration reduced in volumes of parts per million. If it’s not “little to no effect” (and I’m open to that possibility), what, exactly, is that effect? What do the real-world physical measurements say? We’ve been asking for these real-world physical measurements for CO2’s effect on water body temperatures for going on two years now, and you still have yet to produce them. So how are we supposed to “accept” that CO2 has “a certain effect” on water body temperatures if you cannot produce the evidence for what that “certain effect” is? Are we supposed to just believe, as you do? We’re skeptics. We don’t just believe without evidence. Do you have ONE TINY BIT OF MEASURED EVIDENCE?? Why haven’t you realised just HOW EMPTY your rants are, seb??? cue.. yet more evidence-free, headless chook evasion from seb.. !!! And there is NO REASON to assume that the minor , less than 1C of warming since the coldest period in 10,000 years, is ANYTHING BUT NATURAL. Do you have ANY evidence it is anything but natural? Do you have ANY evidence of humans causing global warming?? Do you have any answers to two simple questions…. Or will you just adopt your NO ANSWER, NO EVIDENCE headless chook routine as always. And where’s the evidence for current CO2 levels being ‘unnatural’? What is the ‘natural’ level for CO2, and where is the indisputable observed evidence that CO2 levels should be whatever they wish to say? Given what is known about atmospheric CO2 levels rising after a warm period, is not the current rise perfectly normal and natural? … Or maybe our pet cAGW advocate can show some evidence that it is not natural. Is that a serious question? The natural level for CO2 is the level where the partial pressure in the oceans match the partial pressure in the atmosphere. The level where concentrations are in balance. Given what is known about atmospheric CO2 levels rising after a warm period, is not the current rise perfectly normal and natural? Again, are you serious? The warming we observe can’t raise the level like we are observing. That is physically impossible. Or maybe our pet cAGW advocate can show some evidence that it is not natural. Go visit a physics calls at your local university and ask the teacher those question. Be prepared and write down what they’ll tell you. Maybe you’ll learn something and be a better skeptic. Who knows .. Zero evidence seb rants yet again. There is NO EVIDENCE that the very small but highly beneficial warming since the LIA is ANYTHING BUT NATURAL. You can yap all you want, seb, but without evidence, you have NOTHING. SO MUCH of what you think you know is irretrievably WRONG. As usual empty rhetoric and no answers . Is that your serious answer? Dull and empty comment attempting to make you sound sciency while NOT answering all the actual questions. In other words what level is natural given your fantastic belief in (unnatural) man-made CO2 dominates as the driving force of climate change. Or can you not answer such direct questions as your vanity drives you on with your dull senseless comments. NOPE, they are downright AWFUL. 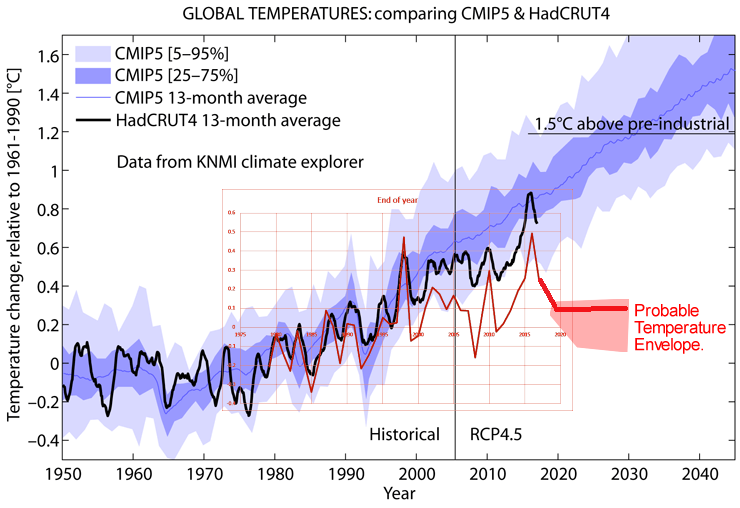 Even the tip of the recent El Nino only got to just above the RCP4.5 CHIMP5 mean. “how much more the temperature has to increase”. I presume this is based on the hot summer in parts of the northern hemisphere – not as hot as other years (UK’s was hotter in 1976 eg) but hey! I’m looking forward to the experts putting the ice age down to global warming. No, not based on the current weather. Are you familiar with the 2 degree goal that everyone is talking about when discussing limiting our emissions? That the basis of my question. Will you guys recognize a 2 degree increase as probably not natural? Would it have to be 3 degrees? 4? More? How large does the anomaly need to be so you recognize it as a Hockeystick? You mean the one Shellenhubber (or whoever) ADMITS to pulling out of thin air? That meaningless unsubstantiated load of puerile fantasy !!! 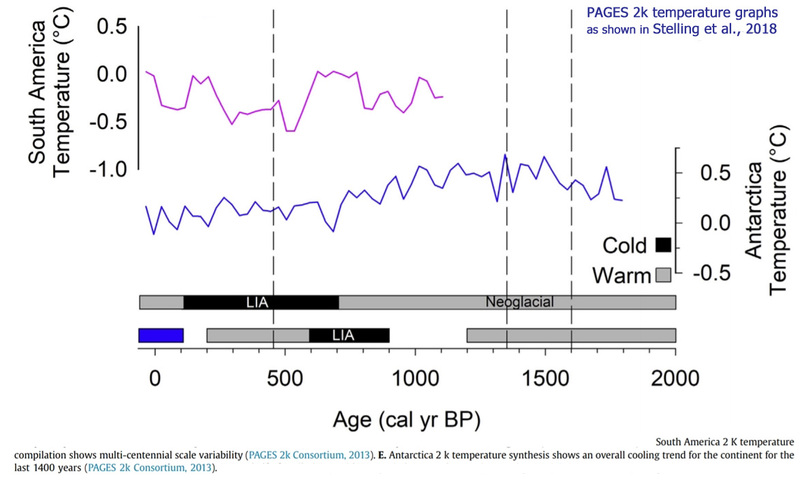 3 or 4 degree would take us back part way towards the Holocene Optimum. Isn’t it interesting, spike, how no matter what the CO2 concentration has been in the atmosphere, the avg world temperature has never exceeded 25 DegC (except maybe VERY briefly and then only slightly). When I saw that, I knew that they were trying to put one over on us, and haven’t trusted them since. And if this planet could reach that temperature it is very arguable that nothing alarming would happen. In the real world we have been there before when nothing catastrophic happened, in fact the biosphere flourished. The null argument wins out, there is little reason to be alarmed if it came to pass, life would go on, probably the NW passage would open, free trade, growing food, etc., would become easier. So why are cAGW advocates so afraid of 2°C rise? Because they do not pay attention to history, they believe (for that is all they have) in the prognostications of idiots who can only see change as a threat. And if this planet could reach that temperature it is very arguable that nothing alarming would happen. In the real world we have been there before when nothing catastrophic happened, in fact the biosphere flourished. The null argument wins out, there is little reason to be alarmed if it came to pass, life would go on, probably the NW passage would open, free trade, growing food, etc., would become easier. Must be some kind of hallucinogen. So why are cAGW advocates so afraid of 2°C rise? Nobody is afraid. That a set limit and there is no doubt we will reach it. The people who seem to be afraid is you guys … afraid of change. idiots who can only see change as a threat. Well said … thank you. Recognizing your own problems is the first step. Now go out and learn something … visit some physics courses at your local university maybe. Learn how the second is defined. Etc. Seems you have been experimenting with several sorts of fantasy producing hallucinogenics for a long time, seb. None of them have been able to help you fantasise any science to backup the myth of CO2 warming, though. 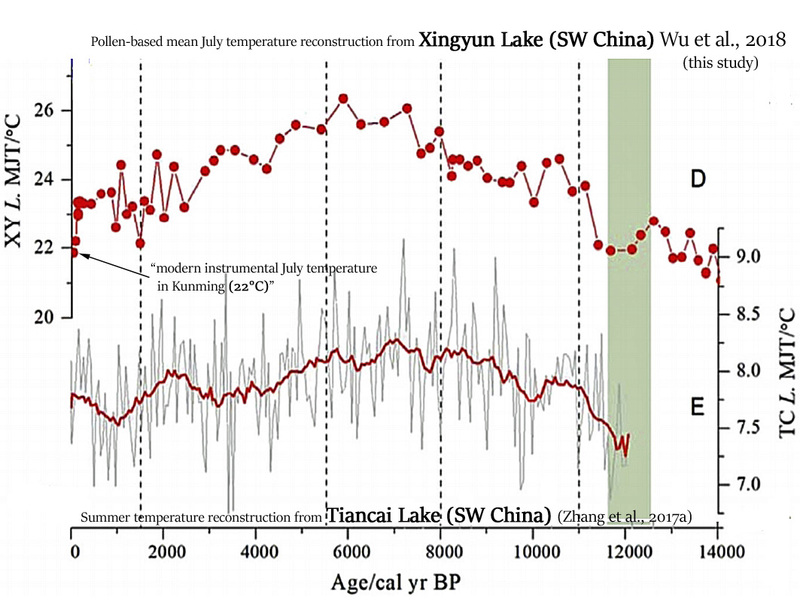 We don’t try to DENY that the climate has been warmer than now for nearly all of the last 10,000 years. We don’t DENY the natural cooling and warming cycles, with current temperatures being similar to the 1940s and that the late 1970s was basically the coldest period since the LIA. We don’t DENY that Arctic sea ice is still in the top 10% of the last 10,000 years. We don’t deny the existence of Antarctic volcanoes melting glaciers from underneath, and try to PRETEND that the glacier are warming from a TINY rise in ocean temperature. We don’t DENY that there is zero empirical evidence of CO2 warming. We don’t DENY that changes in Solar radiation and the ocean currents is more than enough to cause all the small warming out of the coldest period in 10,000 years. We don’t DENY that wind and solar are totally UNRELIABLE sources of energy that only exist because of massive politically based subsides and preferential feed-in treatment. Seems that seb is the only CLIMATE CHANGE DENIER around here. SebH should state, what he assumes, is the average calculated temperature that we shall not exceed. What is the basis for the 2 degree? 14.8 or 14 or the optimal 15 degree C? Is this goal based on the current reported average temperature or which year do we take? Do the 2 degree include the natural variation or is this only human attributed temperature change? Talking about an anomaly here, not absolute values that should not be exceeded. Is this goal based on the current reported average temperature or which year do we take? You don’t know what the 2 degree limit refers to? Wow. Seems that seb is UNAWARE where the 2C mantra came from. UNAWAREMESS seems to be the poor chicken-little’s only evidence. SebH wants to say which anomaly. Everyday temperature change is more than 2 degrees. So anomaly needs definition. Is yearly? Is per month. Over 30 years? Starting which year? SebH no answer. He not know? He says he knows. John not knows. Certainly there was a bit of cold weather late autumn. However the talk lately is of mild Temps throughout winter. We are halfway through winter now, and where I live in the Waikato it is mild Temps and generally wet. Third warm and wet winter in a row. We are about 150m above the surrounding landscape and here have only experienced one frost of any significance this year. Significant to me, very little wind so far this winter. Very cold often overnight in Christchurch South Island and frosty mornings. New Zealand has two main islands. Warm days are caused by the fohn effect of N W winds which deposit rain on the West Coast and effect the province of Canterbury. The warmth is in the middle of the day for a very short time but that skews the weather reports. Wearing two sweaters and warm boots in the house quite normal here. World is barely 1ºC out of the coldest period in 10,000 years, well below most of the first 8000+ years of the current interglacial. We are living in a COOLER part of the Holocene. And with the current solar slump, there is absolutely ZERO reason to believe that the slight, highly beneficial warming will continue. There is NO EVIDENCE that humans can affect the global climate with atmospheric plant food. You have shown us time after time after time, that there has been NO scientifically provable CO2 forced change in the period where we have reasonable temperature data. You think you have evidence, the surly, its time to produce it, I’ll even guide you a bit, by asking two simple questions. You have been given that opportunity to at least make an attempt, but you just keep running away like a headless chook. Its as though you aren’t even willing to even try, because you know you just DON’T HAVE ANY EVIDENCE. Ground measurements are a tool of the alarmists and are corrupted by water vapor and the urban heat island effect. To isolate the impact of CO2 on atmospheric temperatures you have to control for water vapor and the Urban Heat Island Effect. When you do that, you discover there is no warming trend in the atmosphere. The media have sold their soul to the political establishment to make life easier for themselves. They no longer have to investigate stories, they just keep recycling the same old tosh. Therefore, governments are free to use “Climate Change” as an excuse for raising tax, no questions asked. What part of Non Toxic CO2 does SebH not comprehend? Who said something about it being toxic? For the record, the Obama’s rogue activist EPA did. Anyone who supports them and their agenda can, IMO, be accused of believing that nonsense, even if he/she/it/whatever has never used the adjective “toxic” to describe CO2. So, yeah, you nailed it. The only way he might be able to wriggle out of this is to show us where, in the past, he has explicitly stated that CO2 is NOT toxic. Let’s see if he can do that. Except you should use #faceplant, when referring to yourself. Interesting defensive posture he has – like those little animals that urinate and defecate when they feel threatened. Typical SebH “logic.”. What report on “hockey stick” data would be complete without some background on its inventor and articles critical of his invention? 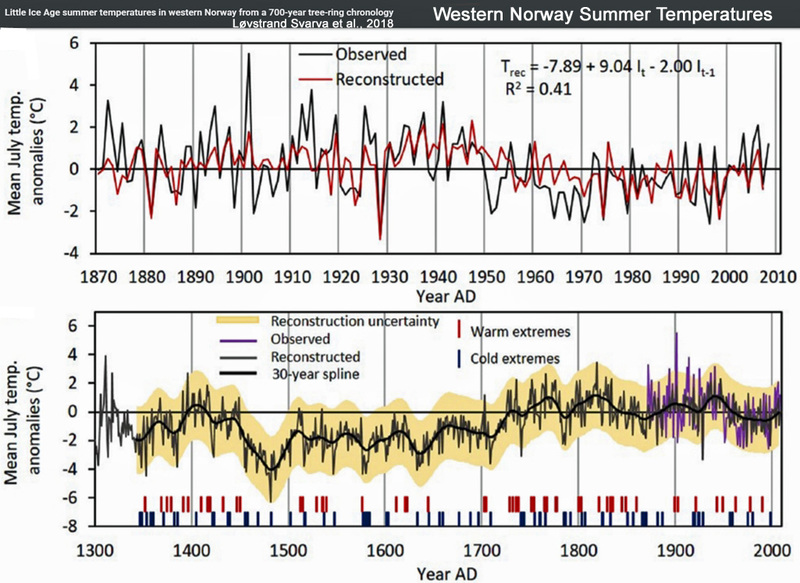 Bottom line, the “hockey stick” is nonsense. Always has been. While the following link was included in the material I linked to in my previous post, I think it deserves special attention all by itself. More generally, we must be grateful to Seb as he brings out the best in Pierre’s / Kenneth’s well-informed, rational commenters. Right, M.S., they only sue the oil companies for “hiding” the dangeros of warming. Also, yes, that Kenneth is especially good at exposing the troll’s all encompasing ignorance, as well as his narrow minded activism. And yet he keeps coming back for more. Here is the graph from 40 years of Nimbus Satellite data – although why they exclude the first 15 years of data is a mystery. 1. The graph shows a POSITIVE anomaly for almost all of the period from 1979 to 2004. Simply put this means the atmosphere is NOT trapping radiation – MORE radiation is escaping to space. This is also represented in ALL of the satellite temperature graphs. How could the satellites detect increased temperatures if greenhouse gases are preventing thr infra-red radiation escaping ? Doesn’t make any sense at all. How can greenhouse gases cause Earth to emit less when the anomaly is positive ? Come on, pull the other one. Earth’s average orbital distance from the Sun means there is ALWAYS about 1361 W/m2 solar radiation irradiating any object in this locality no matter where it is in 3 dimensional space ! How can that be rationally described as “frigid” ?? That anyone can be gullible enough to believe this simply astounds me. Notice that the Lunar surfaces heat up to over 390 Kelvin or about 117°C and not a single greenhouse gas in sight. And before some fool points out the obvious low temperatures, remember that a “Lunar hour” represents more that 29 Earth hours. The eighteen “Lunar hours” between maximum and minimum represent more than 3 weeks Earth time. One week with the input being less than the output plus 2 weeks of total darkness and it is easy to understand why the Moon gets so cold BUT that would not occur if the Moon had a 24 hour period. Imagine if the Moon had a 24 hour period – plenty of time to heat up to similar temperatures during 12 daylight hours as the reduction in temperature during 12 hours night would be nothing like what happens presently. Again – not a single greenhouse gas in sight. How does that happen from 50.26 W/m2 solar irradiation and an atmosphere almost completely devoid of any greenhouse gas ? Or perhaps NASA lie ? The public has been well and truly hoodwinked by some dubious propaganda. Our atmosphere shields us from the power of the Sun’s radiation which would easily kill us all if we were exposed to its full power. And as Ragnaar shows in his comment and linked video shows (HERE), chaos is not amenable to reductionists’ methods — like the IPCC lack of mathematical ability is the driving force of cAGW, their reductionist ideal of measurement just having noise, and that noise is reduced by averaging is profoundly wrong. This means that there is no simple noise reduction method that will not distort the analysis of the (climate) system. There can never be enough measured accuracy or precision to which all climate processes and parameters to be able to elucidate any accurate long term predictability. We can at best only infer probabilities for future events but then only if ALL the climate processes (terrestrial and extraterrestrial) are accurately understood, and all measurements are done to the very highest accuracy — no fudge factors and no approximation! For as inaccuracies creep in then the loci of the calculated probabilities (within a chaotic system) will drift away from the actuality, away from what will really happen. So, can you average out the noise in a chaotic system to gain meaningful probable trends, or worthwhile predictions? And yet that is precisely what SebastianH believes you can do. SebastianH is PROFOUNDLY WRONG in that idea because of a complete lack of understanding about chaotic systems. Here are some non-hockeystick charts that are pretty hard to deny debunk the CO2 causes warming theory.